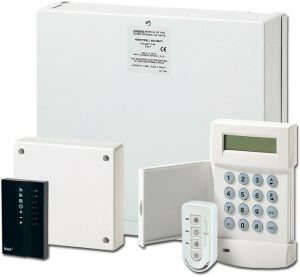 Having an effective and reliable intruder alarm system installed is a necessity. Life Safety Services offer cutting-edge alarm systems tailored to your exact requirements. Our installations help protect your premises from burglary and damage and prevent disruption to your business that is often caused as a consequence of intruders. Life Safety Services use a number of highly effective and reliable, professionally designed and installed intruder alarm systems with features like remote access to enable our engineers to interrogate the system before an engineer is despatched. As standard we offer remote signalling to our monitoring station or ARC (Alarm Receiving Centre) by telephone or radio link. The ARC will alert key-holders and the Police if the system is activated. A wide range of movement detectors are available, and are chosen to suit the particular environment / building use but as standard we utilise combined PIR & microwave dual technology detectors to reduce the number of false alarms . A range of contacts are also available for internal and external use including roller shutter window and door and both flush and surface mount.